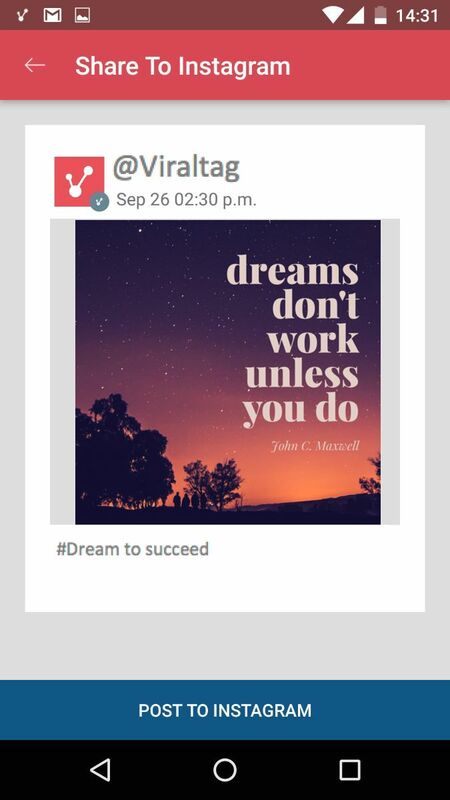 Scheduling to Instagram works slightly differently than scheduling to the other social networks. You can view the video demo or refer to the detailed steps below to schedule a post. 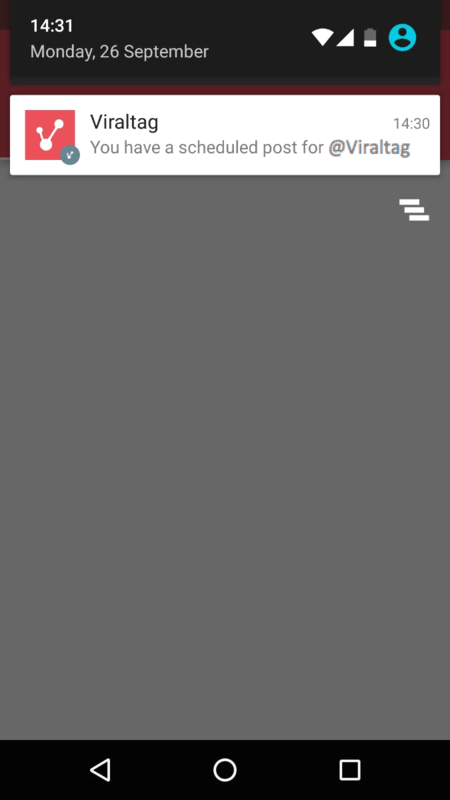 Click on "Accounts" from the panel on the left hand side of the screen. 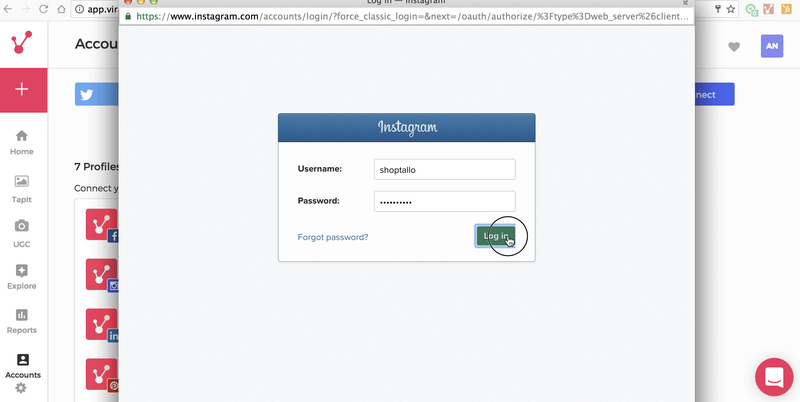 Click on the "Connect" button next to the Instagram icon. 5. 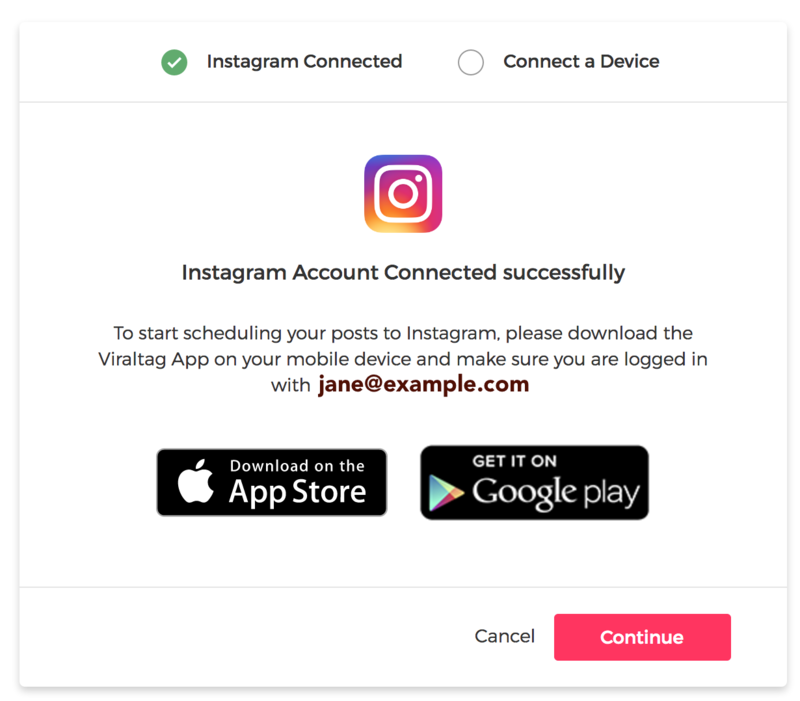 Click on App Store or Google play, then click on the 'Install' icon to download the Viraltag App to your mobile. 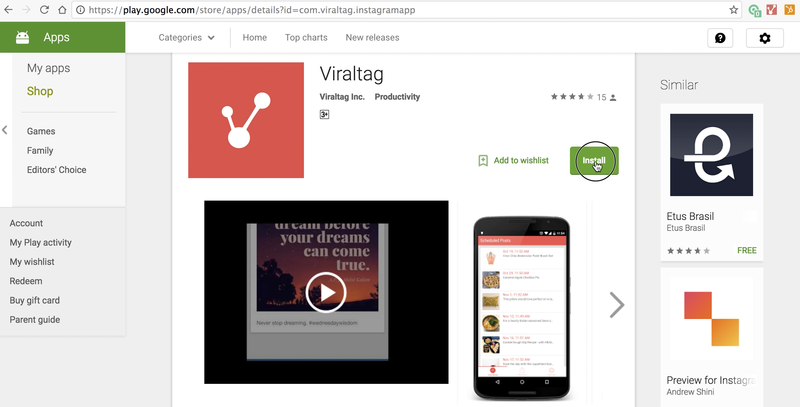 To install the Viraltag App from Google Play store (Android users) click here. 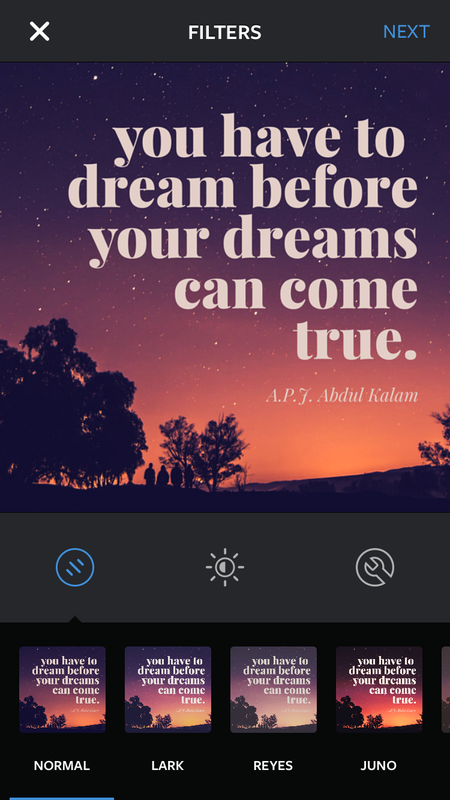 To download the App from App Store (iPhone users) click here. 6. 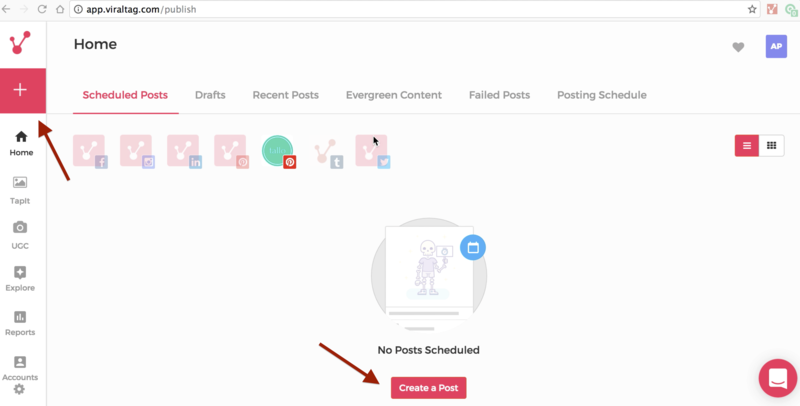 To schedule a post to Instagram, click on "+" from the panel on the left hand side of the screen or on "Create a Post"
7. 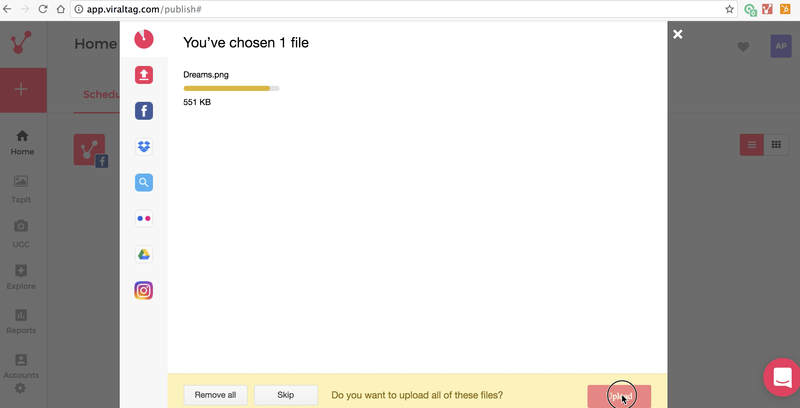 Drag a file/s from your computer and drop it into the Upload window. 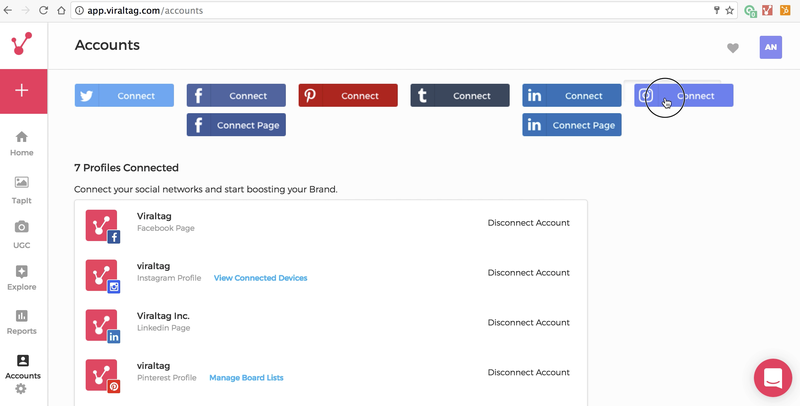 You could also choose to upload from Facebook, Google Drive, Dropbox, Flickr or search the web for content. 8. 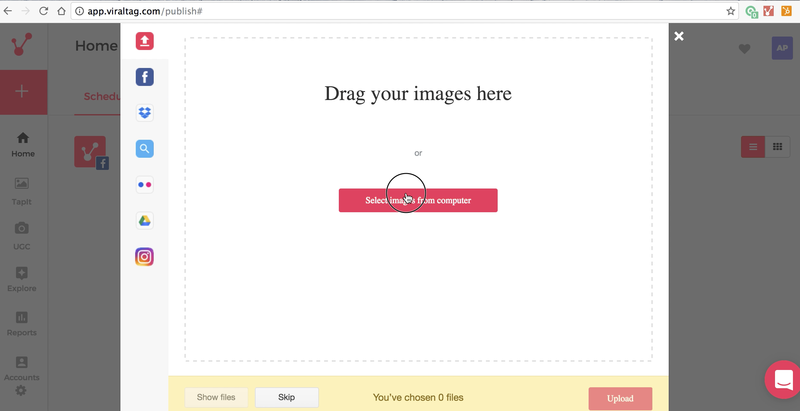 Once your file/s have uploaded, click on "Upload" on the bottom right hand corner of the window. 9. Fill in the details and click on the 'Schedule' icon on the bottom left hand corner of the window if you would like to set a specific time, or click on "Add to Queue" if you would like the post to go out as per pre-set times. 10. 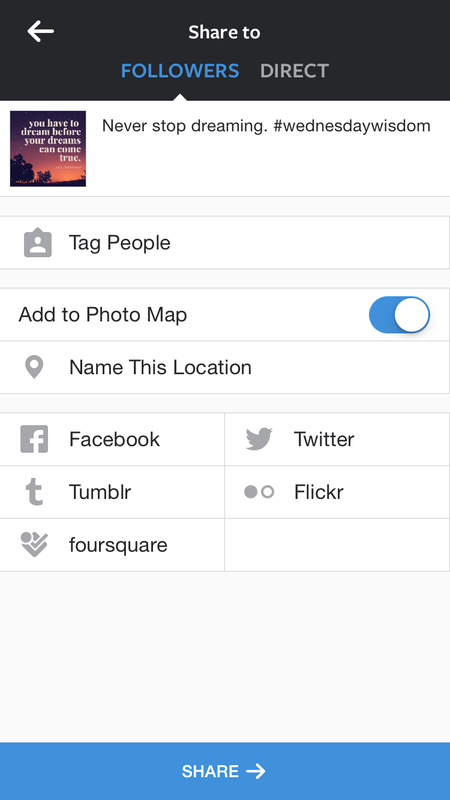 At the time you've scheduled the image to be posted on Instagram, you will receive a notification on your phone. 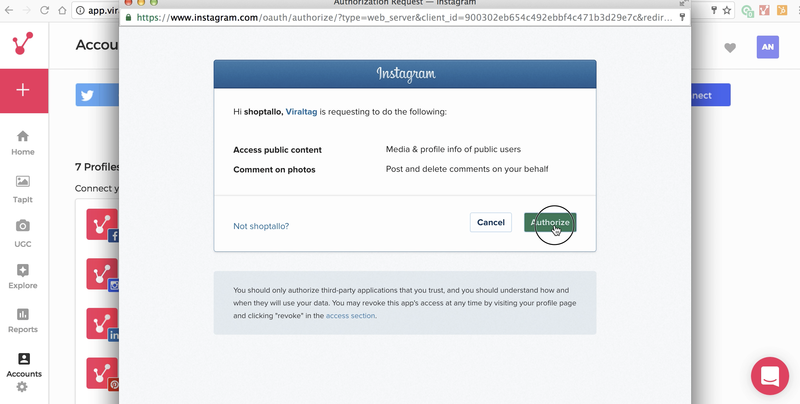 Swipe to open the Instagram Viraltag app. 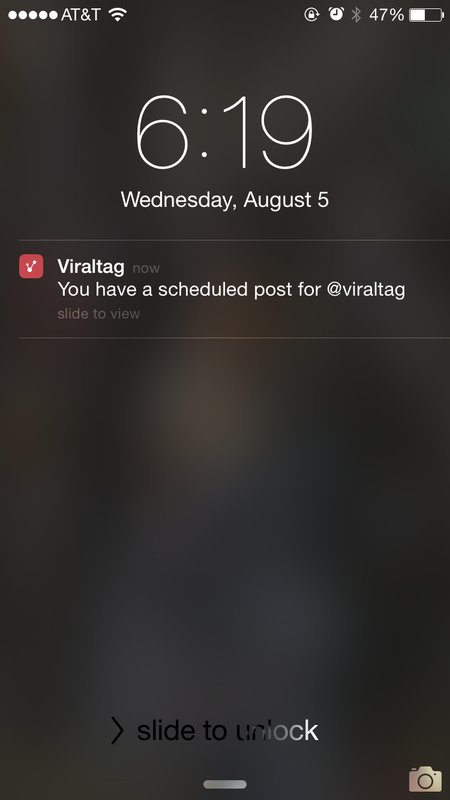 If you're using an iPhone and aren't getting these notifications, try enabling the Push Notification Service on your phone for Viraltag, that should do the trick! 11. 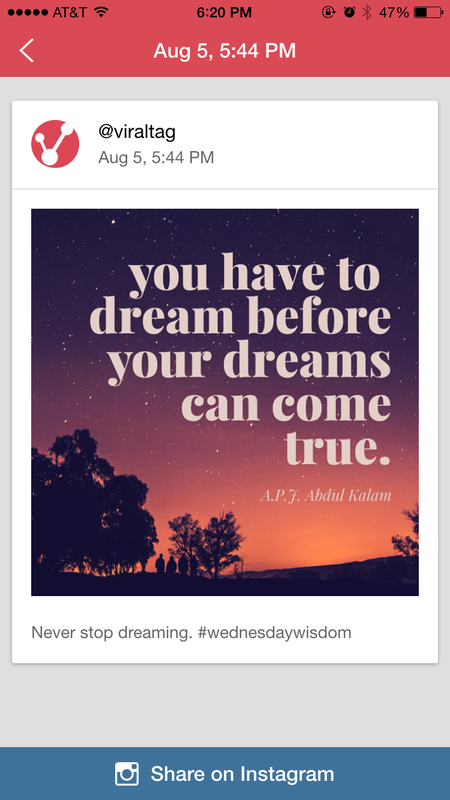 Click on the "Post to Instagram" or "Share on Instagram" button at the bottom of the screen. 11. This leads you to the 'Filter' and 'Edit' section in the Instagram App. Here, you can make any changes that you like to the photo. 12. 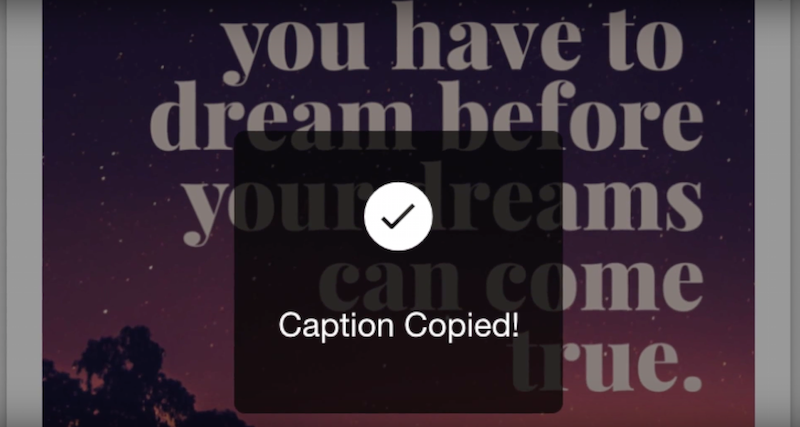 Paste the caption that was copied to your clipboard onto the caption box. 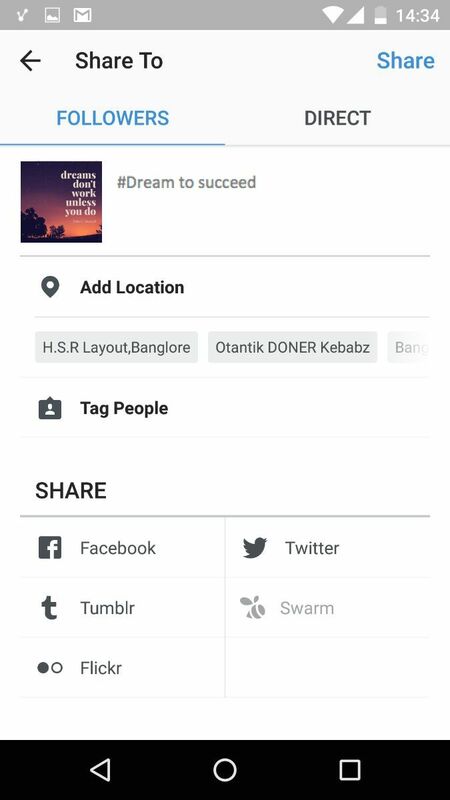 Finally, Click on "Share" and your image will be posted on Instagram.